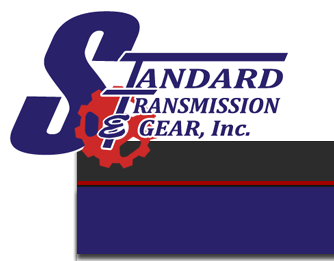 Standard Transmission & Gear brings you another option in performance with Ram Clutches. 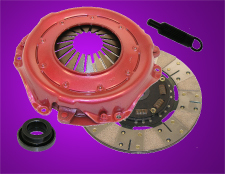 RAM Clutch systems for Street/Strip performance cars offer several alternatives for the proper blend of performance and driveability for your application. 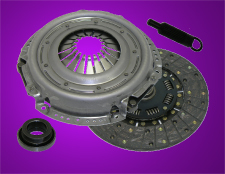 RAM Premium Replacement Clutch sets feature OEM components used by the vehicle manufacturer when your car was built. You get the parts that belong in the car, not some low quality or imported replacement imitation. RAM Premium Replacement sets offer the best level of driveability and durability for your vehicle. Premium Replacement sets are not intended for performance or competition use. The basic RAM concept of clutch performance is simple: Increased clamp pressure is the single most effective way to manage high horsepower or load, especially in street driven performance cars. We purpose build RAM HDX pressure plates with 30% more clamp pressure than stock. The second important feature is smooth, chatter free operation, which we achieve with premium organic composite disc friction material. Also, HDX discs feature our exclusive 8-spring hub assembly for added load capacity. HDX. Great driveability and control for power levels to 450 horsepower. Sets include pressure plate, disc, release bearing, and alignment tool unless otherwise noted. Powergrip HD is a true "strip/street" competition clutch system that can handle the rigors of weekend racing and spirited street driving. This system has the same components as standard POWERGRIP above with the exception that the disc friction surfaces are both sintered iron. 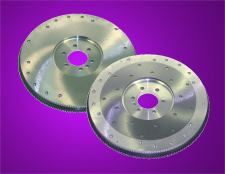 Sintered iron provides a degree of slippage on vehicle launch to prevent the violent and uncontrollable engagement characteristics of paddle type metallic discs. This firm consistent engagement is easy to control. Some chatter is likely on engagement with rear gearing less than 3.73 in street applications. Each set includes the pressure plate, clutch disc, release bearing, and alignment tool unless otherwise noted. Use Powergrip HD for power levels to 650 horsepower, or lower powered vehicles that see frequent track duty. You were told, "you can't have your cake and eat it too". THAT'S NO LONGER TRUE FOR PERFORMANCE CLUTCHES. The RAM Street Dual affords perfectly smooth engagement for street driving yet handles horsepower levels in excess of 1000! The premise of the Street Dual is driveability for yesterday and today's muscle cars. Street Dual units use our 300 series steel backed friction discs in a sprung hub top/solid hub bottom arrangement. 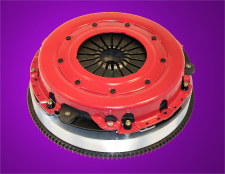 The sprung clutch disc features an eight-spring hub assembly with urethane encapsulated springs for added durability, and a marcel spring that helps eliminate the 'on/off' switch operation of most dual disc clutches. The floater plate drives from six stands, three of which are composite to help reduce floater plate noise. For severe duty applications, 6 steel stands are recommended. A billet aluminum flywheel rounds out the package that weighs in at an average of 45 pounds. All billet flywheels are not created equal! Make sure you are getting the features you pay for. RAM billet steel and aluminum flywheels are fully machined and assembled in house. That means when you get your RAM billet flywheel, it is already surface ground, already balanced, and ready to install out of the box. A key feature of RAM aluminum flywheels is the steel insert. 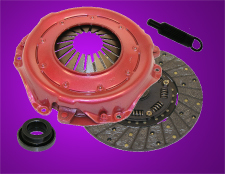 A flywheel insert must have enough mass to wick heat away from the clutch without distorting. RAM uses a .250-inch thick inset that is riveted in before the flywheel is surface ground. This assures a parallel friction surface with no run out, and enough material to adequately wick the heat while maintaining flatness over time that thinner inserts simply cannot do. All RAM billet flywheels are SFI certified.